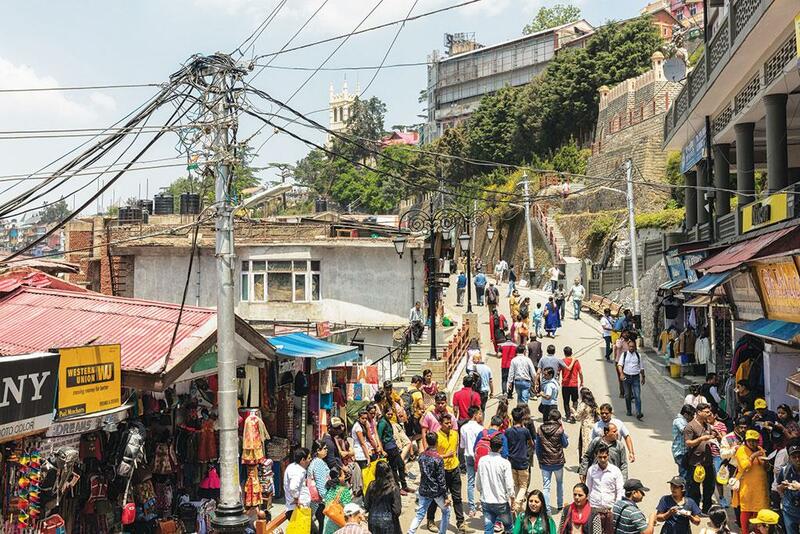 In May 2017, when the Himalayan nation of Nepal held its first local council elections in 20 years, access to water became a highly political topic at Dhulikhel town. Located on a mountain ridge 35 km from Kathmandu, Dhulikhel’s strategic position allows one to behold a long range of the scenic Himalayas. 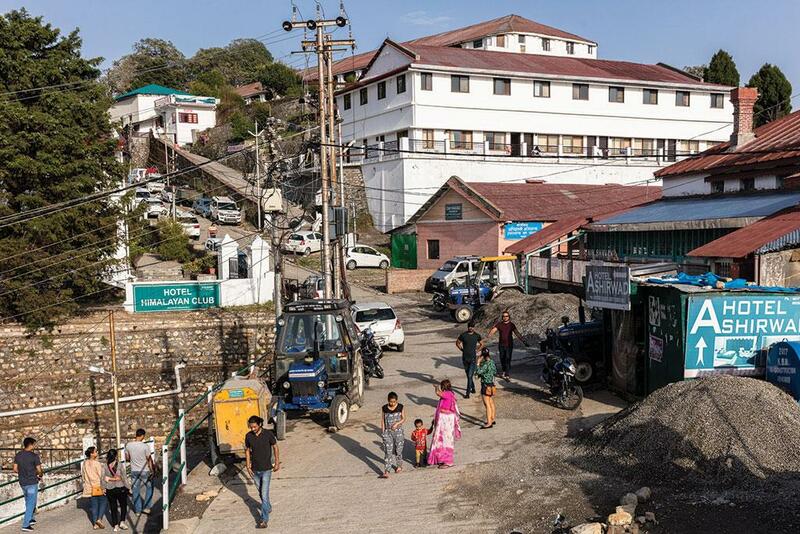 As the town rose to prominence, a number of hotels, lodges, restaurants, new houses and public and private institutions have replaced the tiny traditional settlements, putting unprecedented pressure on the water supply. As expected, water politics influenced the outcome of the elections—the town’s new mayor came to power on the promise that he would make locally sourced water available to all at affordable prices. A 14 km pipeline now brings water to the community, but the laying of new pipes has been disruptive for the settlements and farms through which it pass, triggering protests. This and several such compelling stories were brought to life at a recent photography exhibition in Delhi by Bhaskar Vira and Eszter Kovacs, academics at the University of Cambridge, UK, and British photojournalist Toby Smith. Titled “Pani, Pahar: Waters of the Himalayas”, the exhibition was the result of four years of academic research led by Vira and Kovacs who have tried to assess the impact of human activities on the fragile Himalayan landscape and on its water sources that are sensitive to climatic changes. “Based on the pressure on these resources due to social and environmental changes and the willingness of people to respond to the resulting challenges, we zeroed in on six locations in the Lower Himalayas for our research,” says Vira, who is the director of the Conservation Research Institute at the University of Cambridge. These are Palampur and Rajgarh in Himachal Pradesh, Mussoorie and Nainital in Uttarakhand, and Dhulikhel and Bidur in Nepal. To highlight the scale of human intervention, Smith’s photographs were juxtaposed with archival prints sourced from the university’s library and its Centre for South Asian Studies. And the effect was striking. “Over a billion people across Asia rely on Himalayan water. We take this water for granted. But human activities are stressing the Himalayan water system,” Vira says. The impact of tourism on the fragile ecosystem is vivid in almost all photographs. One series shows a multitude of tourists taking a dip in the Kempty Falls near Mussoorie. “On the scheme of things, this is just a small attraction. But the scale of development balanced on this single resource is unsustainable and dangerous,” says Smith. India has the diversity of these very productive natural landscapes. But if managed badly, it can become a curse, he warns. The works on display capture another aspect of the crisis that Vira refers to as the “somewhat invisible migration” within the mountains. 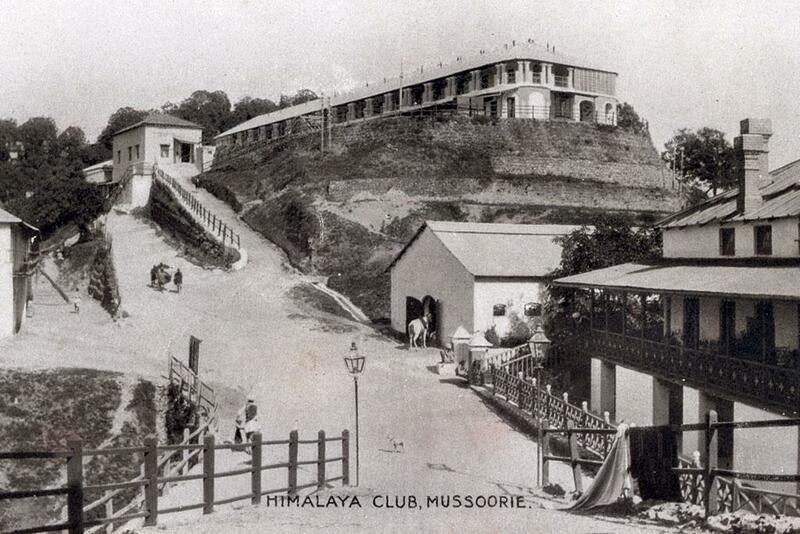 Migration from the rural Himalayas is taking place in two ways. One is to big cities, such as Delhi or Dehradun, and the other is to local urban centres within the mountains, which have better educational institutions, administrative and other services. “These small towns have been the focus of our research. Over time, what might have been just a bus stop and a shop has grown into a small town, with all the associated demands for infrastructure and services (especially water). This level of urbanisation is neglected from the vision of planners and governments,” he adds. Smith’s photos illustrate Vira’s statement. 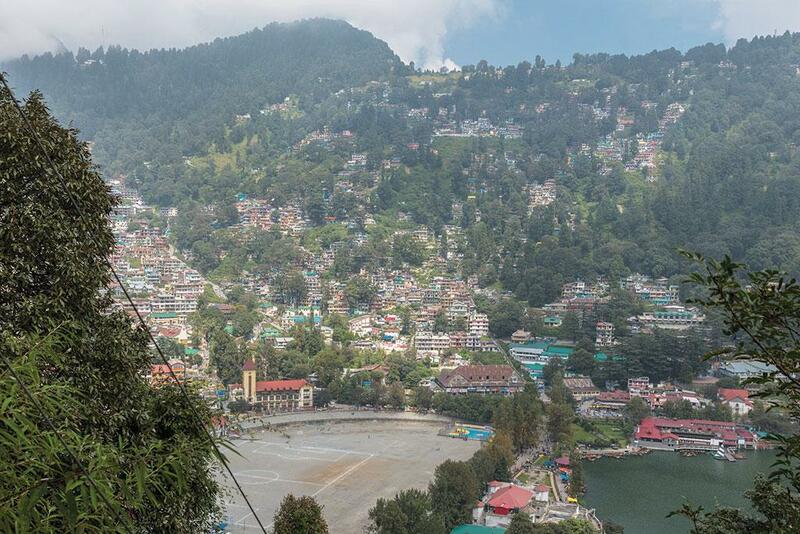 One series displays three photographs of the same spot in Nainital. 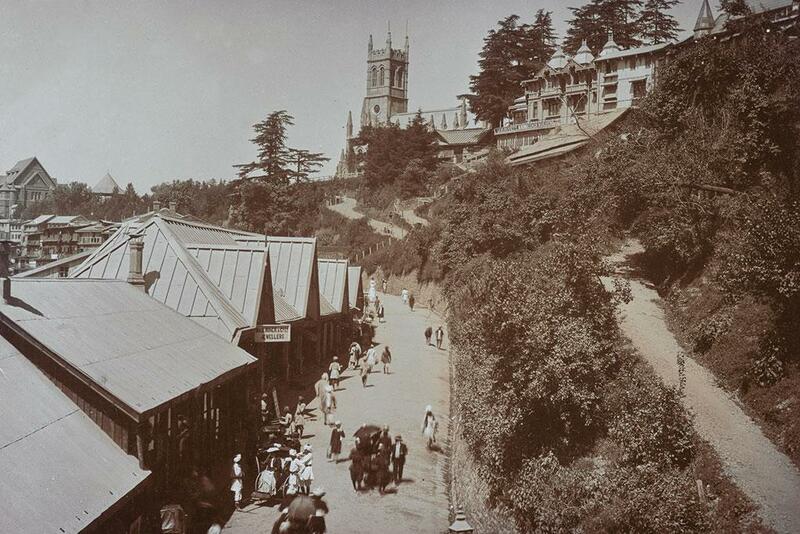 The first print shows Nainital soon after September 16, 1880, when a landslip occurred at the north end of town, burying 151 people. 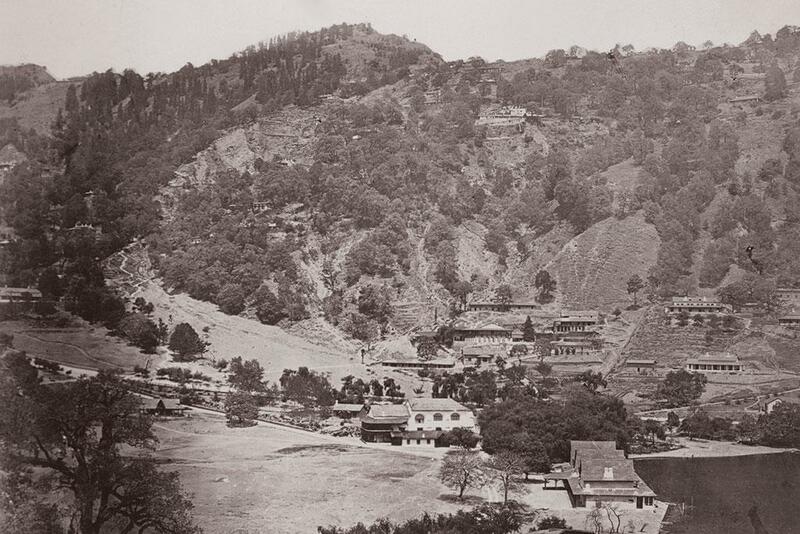 The next photo, from 1910, shows that the area has recovered and is being used heavily again. “The final photo, which I shot last year, shows immense development in the area which is just as unstable now as it was then. If a disaster occurs, nobody should be surprised,” Smith warns. 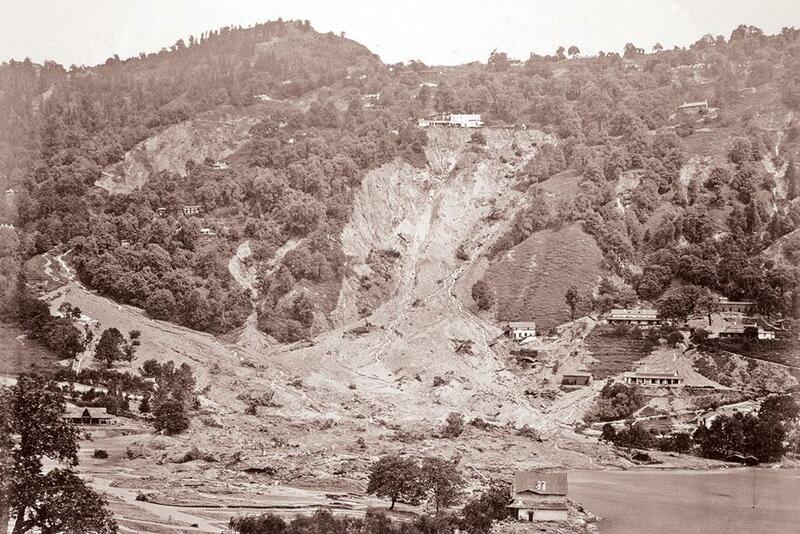 In another group of photos, Smith shows the much-talked about devastation of Nainital’s once-picturesque Naini Lake. “We planned that I visit locations in winter and summer to get a difference in aesthetic. When I went to Naini in the winter, the lake was dry. There was a popular protest. People were energised, angry and vocal. It was an environmental response. The minute the lake filled up with the monsoon, the protests died down. I generalise slightly but the solution, the energy and the efforts, needs to be measured in years. A knee-jerk response to the crisis is not going to help,” says Smith.